The castle was built in the 11th Century by the Lords of Grandson on the shore of Lake Neuchatel to control the coast road. Over the following century, as the Lords of Grandson expanded their power, they often came into conflict with the nearby monastery of Romainmotier. In the 13th century the castle was rebuilt by Otto I of Grandson, the most famous of the Lords of Grandson. He was a close friend of Prince Edward of England and accompanied him in 1271 on the Crusades to the Holy Land. 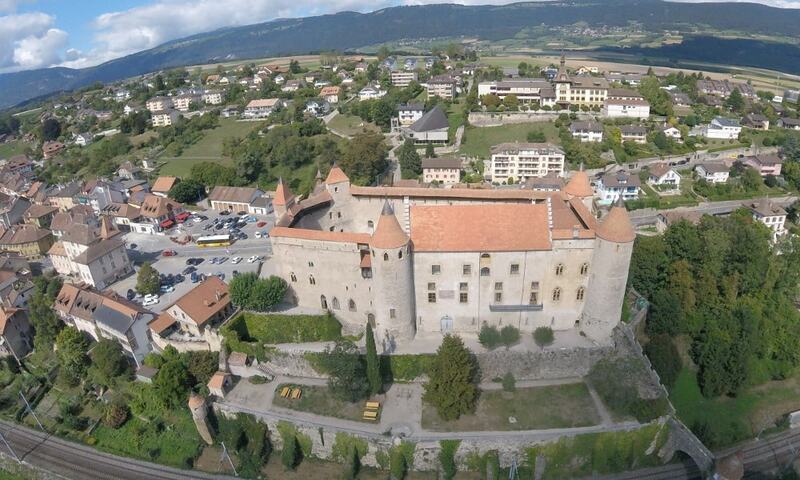 Today the Chateau de Grandson survives as one of the best preserved medieval fortresses in the country.